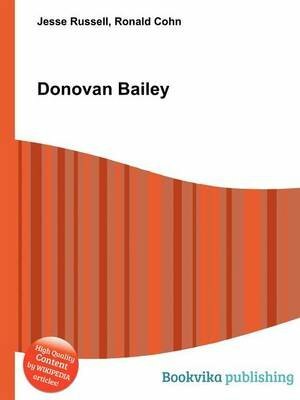 High Quality Content by WIKIPEDIA articles Donovan Bailey (born December 16, 1967) is a retired Canadian sprinter, who once held the world record for the 100 metres race following his gold medal performance in the 1996 Olympic Games. He was the first Canadian to legally break the 10-second barrier in the 100m. Particularly noted for his top speed, Bailey ran 27.07mph (12.10m/s) in his 1996 Olympic title run, the fastest ever recorded.